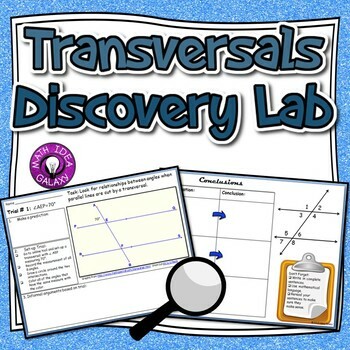 Students will get a great introduction to parallel lines that are cut by a transversal in this interactive discovery activity. 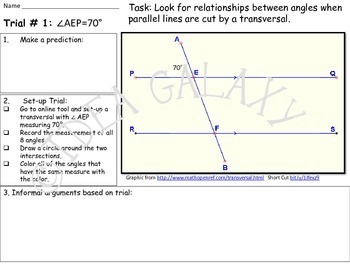 Using an online modeling tool, students will explore angles that are created when parallel lines are cut by a transversal, drawing their own conclusions in this inquiry learning activity. 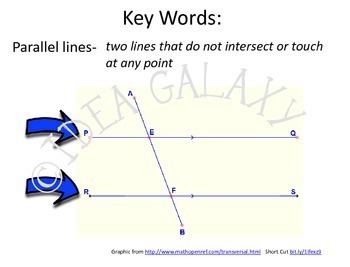 -Powerpoint presentation for teachers to use in introducing the Parallel Lines Cut by a Transversal Discovery Lab activity to students. 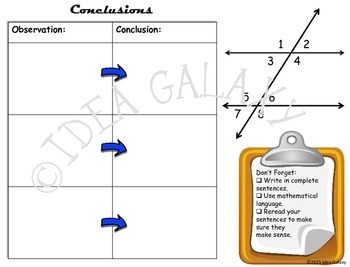 -Differentiation included with 2 versions of student conclusion page. Please note, in order to complete this activity students will need to have access to the internet. We hope you and your students enjoy this discovery learning activity!